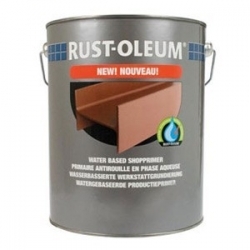 Rust-Oleum 6400WB Fast Drying Water Based Shopprimer is a water dilutable acrylic primer with anti corrosive pigments. 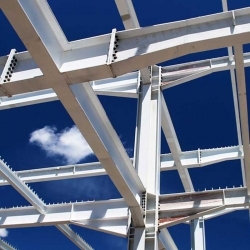 It can be used on a wide variety of substrates like bare or blasted steel, galvanized (zinc), aluminium, non ferro metals etc; internally and externally. 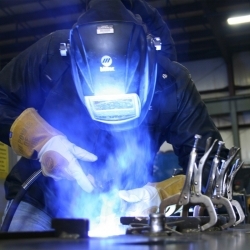 It is intended as the first coat in shop coating applications and provides the required basic protection following metal fabrication and assembly operations. 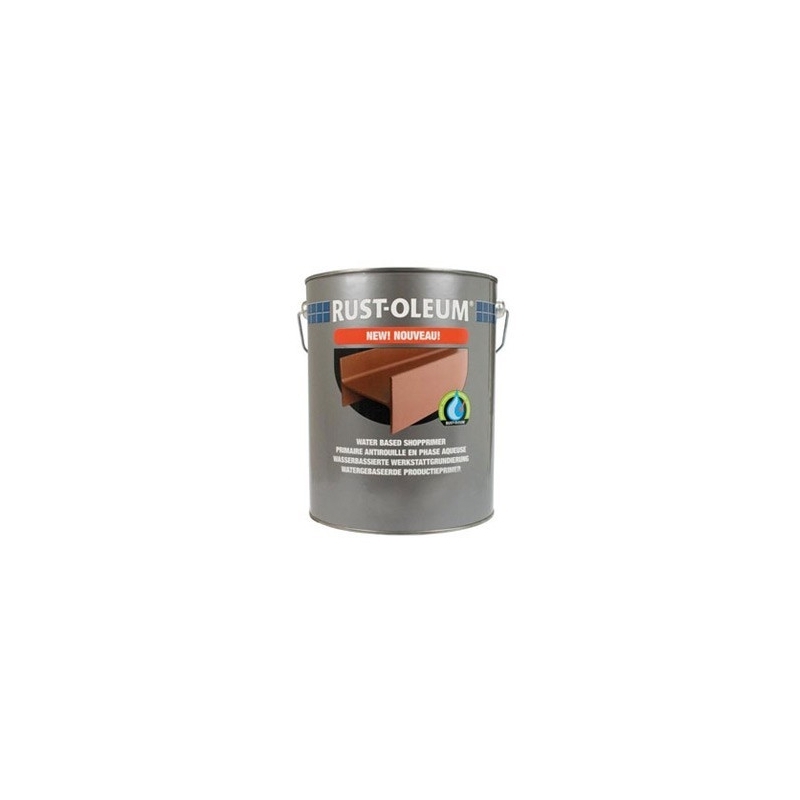 Rust-Oleum 6400WB Fast Drying Water Based Shopprimer is primarily intended for brush application and can also be applied by roller and spray. Please note: Remove grease, oil, alkali residues and all other deposits. 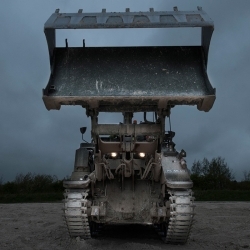 Remove loose rust, rust-scale and deteriorated coatings by scraping and wire brushing before application. 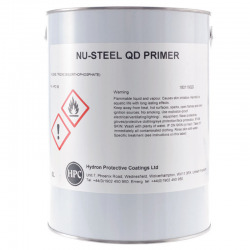 A water thinnable, general purpose metals primer which has very good anti-corrosive properties suitable for priming most metals including iron, steel, aluminium, brass, copper and more. 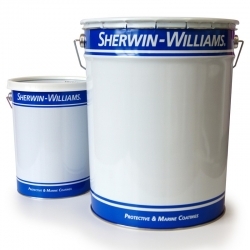 Sherwin-Williams Transgard TG116 is a two pack epoxy undercoat for abraded surfaces. 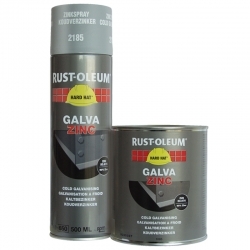 It is used for application onto suitably primed surfaces, as an undercoat for use under suitable high performance finishes. 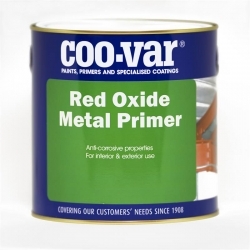 Coo-Var Red Oxide Metal Primer is a good general purpose metal primer for ferrous metallic objects (iron and steel). 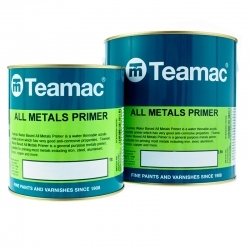 To be used for short periods of exposure during transportation/storage or to be overcoated with a suitable Coo-Var / Teamac topcoat to provide a durable lasting finish for metal. 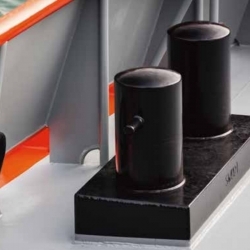 International Intergard 405 is a two component epoxy sealer coat, pigmented with micaceous iron oxide. Formulated on proprietary polymer technology, which provides rapid cure and overcoating, even at low temperatures. Sherwin-Williams Dura-Plate UHS Primer with Opti-Check OAP (Optically Activated Pigments) technology is a specially designed primer for use under Sherwin-Williams Dura-Plate UHS. Sherwin-Williams Dura-Plate UHS Primer is ideal for use over prepared steel or concrete surfaces in industrial and marine exposures. 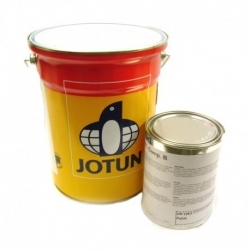 Jotun Penguard Midcoat MIO is a two component polyamide cured epoxy coating that is a micaceous iron oxide (MIO) pigmented, high solids, high build product. Designed as a mid coat in systems for new construction in atmospheric environments. 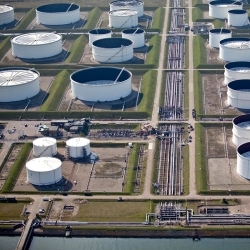 Suitable in approved coating systems. International Intergard 2510 is a two component epoxy anti-corrosive primer pigmented with zinc phosphate, for use on properly prepared surfaces both in new construction and as an industrial maintenance primer for a wide range of anti-corrosive coatings systems. Ken-Kromik 489 (formerly known as Sherwin Williams L489 and as Leighs L489) is a highly protective alkyd anticorrosive primer pigmented with minimum 40% zinc phosphate, used as an anticorrosive spraying or brushing primer for steel.